The civil aviation ministry will review Jet Airways’ eligibility to operate on international routes if its active fleet falls below 20, Secretary Pradeep Singh Kharola has said. Jet is operating a truncated schedule with 28 planes. On Tuesday, it notified the stock exchanges that lessors had grounded 15 planes over non-payment of lease. Several planes are also on ground due to non-availability of engines or spares. “We are monitoring the situation. Jet is operating 28 planes. If it falls below 20, the airline’s eligibility for international operations will need to be examined,” Kharola said. Last week, the airline informed the ministry it would operate 75 planes by April-end. It had assured that the operating fleet would not fall below 30-35, but delays in interim funding have resulted in further grounding of planes. The airline is now operating only eight Boeing 737s and six ATR planes on domestic routes and is deploying its wide-body planes on long-haul routes. Even its international operations are being curtailed, with the airline pulling out of Gulf routes and frequency reduced on the Singapore and Colombo sectors. The National Civil Aviation Policy of 2016, which modified international flying norms, allows an airline to commence flights on overseas routes, provided it deploys 20 aircraft or 20 per cent of its seat capacity on domestic operations. The policy does not specify the criteria for withdrawal of approval. An industry source, however, said the ministry needs to consider the airline’s fleet deployment over a period of time for issue or withdrawal of international traffic rights. “It cannot be taken on a day-to-day basis,” he said. The grounding of Jet’s fleet could be temporary in nature as the airline awaits funding from banks. Jet has been operating on international routes since 2004 and became the first private airline to do so in March that year. 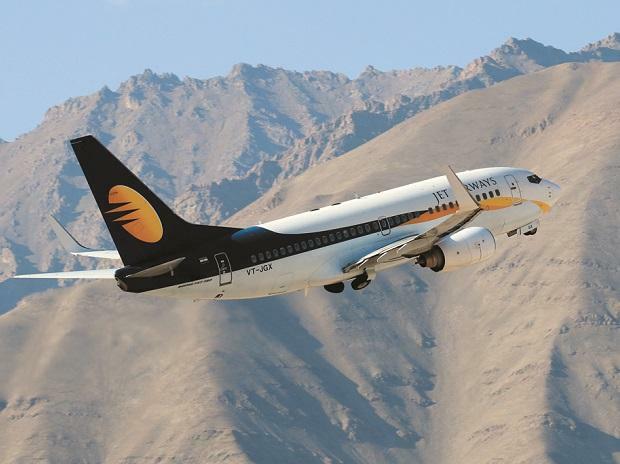 In a statement, Jet said the airline is operating a truncated schedule with sufficient number of aircraft and is compliant with applicable guidelines.